Alicia joins Minaj to close out the show with a stripped-down performance of Aretha’s ‘(You Make Me Feel Like) A Natural Woman’. Alicia Keys honoured the late Aretha Franklin with a performance of one of the soul legend’s most famous tunes during an appearance on Nicki Minaj’s new radio show on Thursday, August 16. 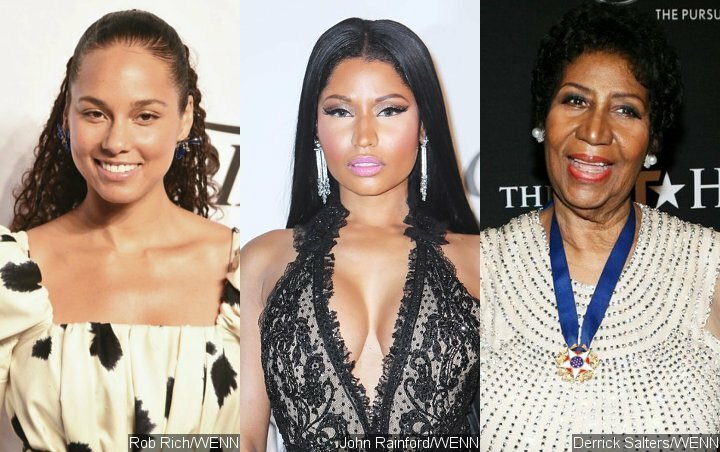 The rapper’s third “Queen Radio” show on Beats 1 started shortly after news of the Queen of Soul’s death was announced, and Nicki made sure to give Aretha plenty of respect.
.@aliciakeys is paying her respects to @ArethaFranklin right now on @NICKIMINAJ’s #QueenRadio! She’s performing “(You Make Me Feel Like) A Natural Woman” live! Alicia joined Minaj to close out the show with a stripped-down performance of Aretha’s “(You Make Me Feel Like) A Natural Woman” – the same song Ariana Grande chose to sing as a tribute on Thursday night’s taping of “The Tonight Show Starring Jimmy Fallon”.